Ontario schools have their plates full of big issues like falling math scores, an evolving curriculum and crumbling buildings. But nothing gets parents’ attention like the smaller daily challenges their children face. Such as unpalatable lunchrooms. Following a Star story Wednesday which highlighted the bedlam served up during many school lunch hours, readers from Sudbury to London weighed in with their own tales and worries in emails and through social media. Examples of overcrowded rooms and supervision ratios of one adult for up to 99 children struck a nerve among parents, educators and lunchroom supervisors alike. So did the image of a 6-year-old eating in the boys’ bathroom so he could escape the noise of a hundred other kids. When Toronto dad Tim Millan visited the dingy basement lunchroom at his son’s east-end Toronto school a few years ago, he made a decision: no more lunches at school for his kid. The room featured low ceilings, poor light and deafening noise, he recalls, along with a supervisor who constantly rang a hand bell in an attempt to restore order. One minute in the din and he realized why his son’s food often came home untouched. “We completely rearranged our lives so I could bring him home for lunch every day,” says Millan, who teaches nearby and was lucky enough to be flexible at midday. Many adults report feeling queasy over the high decibel counts, kids in snowsuits packed into rooms where they don’t have enough time or peace to eat, and lack of staff or volunteers monitoring them. One Toronto mother told of being hired last year as a lunchroom supervisor at her son’s east-end school to manage 75 elementary kids crammed at tables inside, and then outdoors on the playground. “It was the hardest 15 bucks (an hour) I ever made,” she said Wednesday. She only lasted a few shifts. 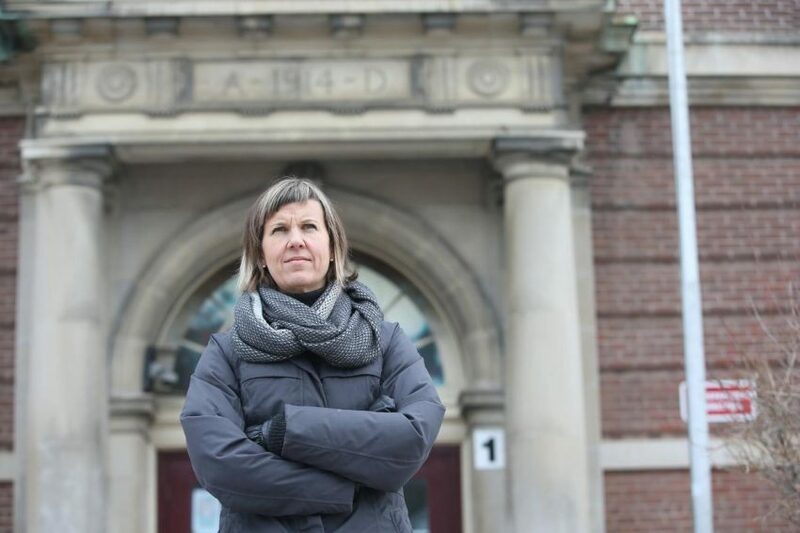 Many schools, especially older ones in Toronto, were built in an era when most kids went home at midday, so they aren’t physically equipped to deal with hundreds for lunch. Managing the hordes is also a challenge, due to a scarcity of funds and collective agreements that limit teacher supervision time. “The reality is we’re way behind the times,” said Toronto parent Trixie Doyle, co-chair of the Parent Involvement Advisory Committee for the Toronto District School Board. The Ministry of Education provides funding for lunchroom supervisors as part of an envelope for non-teaching support staff through the Grants for Student Needs, says spokesperson Heather Irwin. But it’s up to school boards how to allocate those funds and to decide on supervision ratios, she said. Hiring additional lunchroom supervisors means going without other staff. Boards in turn leave it to principals to decide what they need based on their school populations and facilities. The TDSB allocates roughly one supervisor for up to 99 elementary students, two for every 224 and a sliding scale of more kids per adult as the numbers increase. The Ontario Principals’ Council proposed a set of standards for the province’s schools more than a decade ago, but they haven’t been endorsed or put in place. Advocates like Krista Wylie, co-founder of the grassroots group Fix Our Schools, says the chaotic lunch situation is “a gateway” to understanding how the chronic underfunding is plaguing the public school system. A child too overwhelmed to eat or at risk of being bullied or injured is a lot easier to grasp than a $16-billion repair backlog, she said. To one reader, lunch hour should be treated with the same respect as any other subject. Eating and sociability go hand in hand, he wrote in an email.